Supply chain integration with Norwegian fishery Brd. Sperre AS means Unique offers total logistics solutions. 900 metric tons of Herring/Mackerel are produced a day at the production facility in Ellingsøy, Norway, backed by a 23,000 pallet cold store offering dependable supplies. Customers can buy fish when the quality (fat content) is absolutely right for their specific needs. 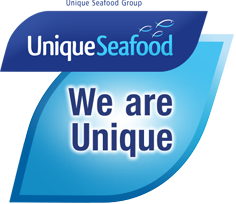 Unique Seafood Pelagic division supplies fish curers, supermarkets, inland markets, wholesalers, retailers, fish & chip shops and restaurateurs throughout Britain. As well as our range of Mackerel, Herring and Horse Mackerel, we offer FAS Coley/Saithe, Redfish and more exotic species such as Denton, Trevally, Yellow Croaker, Tilapia, Catfish, Hake, Monkfish and Green Lip Mussels.